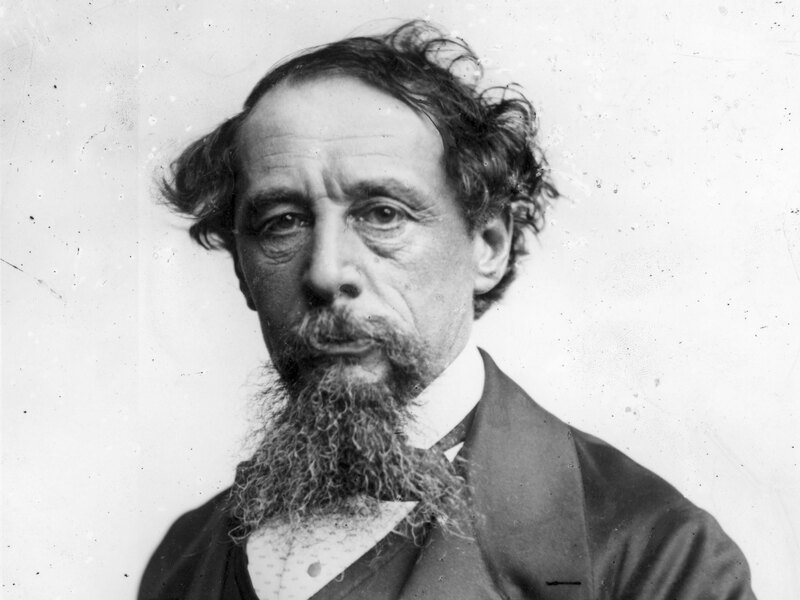 One of the greatest pleasures I have discovered in the last ten years or so is the genius of Charles Dickens. It started with Bleak House as this was a book recommended as one that would interest anyone with an interest in the law and legal system. It took a while to get into his wordy, florid, detailed style and it was, at first, a struggle. But I persevered and am delighted that I did. At this stage I believe I have read every book Dickens has written, with the exception of Dombey & Son. And I am putting that right at the moment. I am enjoying Dombey & Son via Audible audio books and the pleasure I derive from listening to a RADA trained English actor bringing all the diverse, interesting characters to life with their superb readings is tremendous. Dombey & Son is about, among other themes, the pride that Mr. Dombey, a well to do businessman , enjoys with the birth of a long awaited son. It is said that prior to the birth of the son that “girls are given away in this house”. However, things do not turn out as expected as the son grows up to be a waster and his older, ignored sister turns out to be a wonderful, caring person. I have only listened to about 3 chapters so far but I am really looking forward to the rest of it. Posted byTerry Gorry November 2, 2018 November 3, 2018 Posted inBooksTags: audible audiobooks, charles dickensLeave a comment on Dombey & Son By Charles Dickens-an Early Feminist Novel? I read and listen to a large number of books on a monthly and yearly basis. Some are eminently forgettable, some are average, and a small few can change your life. I’ve read two such books in the last year or so. Both, coincidentally, were written by psychiatrists and both of them give the same advice about the power of individual choice and how you react to circumstances. The first one was written by Viktor Frankl called “Man’s Search for Meaning“. Frankl was a holocaust survivor from Vienna who saw his pregnant wife and family being sent to the gas chambers in the German concentration camps during world war two. Frankl’s central thesis is that your circumstances, no matter how grim and uncontrollable, should not determine your life or happiness or well being or outlook; the critical thing is how your choose to react to your circumstances. And the vital lesson is even though you cannot determine your circumstances you have a choice as to how you respond. Frankly noticed an enormous difference between those prisoners in the camps who were overwhelmed by their circumstances and those who chose to be positive. The other book is “The Chimp Paradox” by Prof Steve Peters, a UK based professor of psychiatry. This book explains in easy to understand language that your psychological make up can be seen as having 3 parts: human, chimp, and computer. And you do not want to let your chimp do your thinking for you as it will involve emotional, reactive, bias/hunch based thinking. You want to let your human do the thinking and decision making based on facts and evidence, not hunches or feelings. The chimp and human are completely different with the chimp being concerned with survival and self perpetuation while the human is concerned with a search for meaning in life, fairness, and self fulfillment. The chimp paradox is that your chimp can be your best friend or worst enemy if you do not learn how to manage him. And the book gives you a series of exercises and clear ideas to help you manage your chimp and ensure the human part of your psychological make up is doing your thinking for you. Both of these books are tremendously valuable in a way that can genuinely help you in your day to day living by providing you with the mental tools to manage your chimp , reduce stress, and make sound decisions. 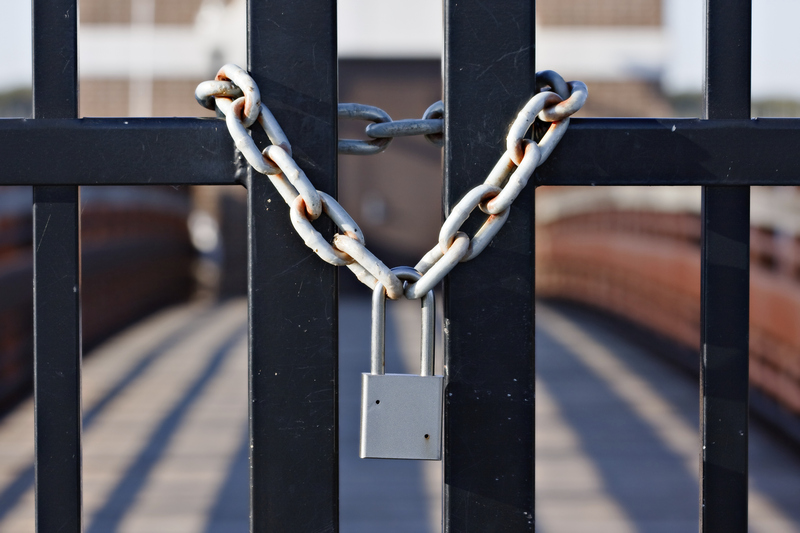 Where Have All the Gatekeepers Gone? Not too long ago if you wanted to write and publish a book you had to get a publisher. The publisher, if he approved, would get your book into the bookshop. He was the gatekeeper. You don’t need a publisher because you can do it yourself with Amazon. Here’s my Amazon author page, for example. If you wanted to make a movie/film you needed a movie producer or someone to ask and pay for you to make a documentary. Now? You can start a YouTube channel if you have a mobile phone and let’s face it: everyone has a mobile phone. Here’s my YouTube channel. a way of publishing your view. Now? There is no gatekeeper preventing you from publishing your views, observations, opinions, message to your heart’s consent. You can start a free blog/website with WordPress.com or Blogger.com and distribute widely what you publish on Facebook, Twitter, LinkedIn, or wherever you choose. Not all the gatekeepers are gone, however. For example if you want to be a solicitor you will need to pass the exams, and meet the requirements, of the Law Society of Ireland. If you want to be a doctor you will need to meet requirements to get into medical school and meet the requirements of the Medical Council. This is not a bad thing; we need to set certain standards in many areas of life. But if you have something of value to offer or something to say take a quick look around and you will almost certainly see that the only gatekeeper is you. Posted byTerry Gorry October 31, 2018 October 31, 2018 Posted inDigital Marketing, Online MarketingTags: amazon publishing, blogger, wordpress, youtube, youtube marketingLeave a comment on Where Have All the Gatekeepers Gone? I am not going to lie-I do care that you don’t like my video. I made it and uploaded it to YouTube because I thought it had some value, some utility. And seeing that little thumbs down icon always hurts a little. It hurts if it is genuine and my video is truly worthy of the thumbs down. I don’t care, however, if you gave it the thumbs down because you are a begrudger. I don’t care if you are a whinger. Or a regular habitue of the swamp of jealously and envy. And the bad news for you, and good news for me, is that tomorrow I get the chance to upload another. Because all I need is a mobile phone, an internet connection, and an idea. And there are no gatekeepers now. Very few, anyway. 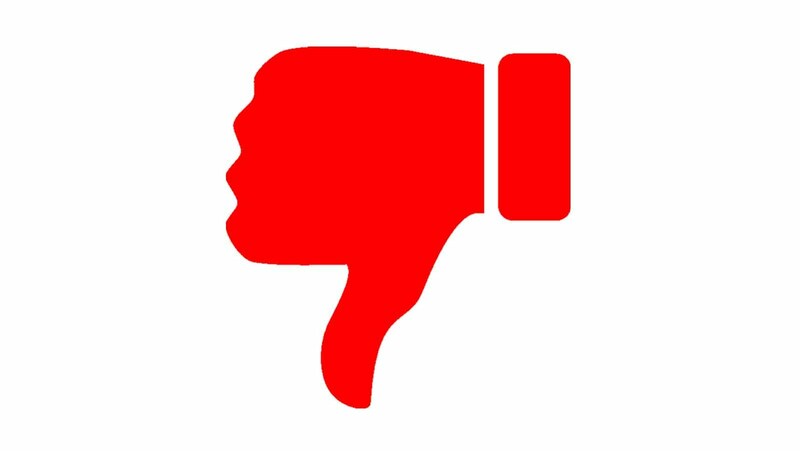 So, you can sit on the sideline and boo and give me the thumbs down when I make a video and upload to my YouTube channel. Work away, knock yourself out. You only get one vote, though. Meanwhile, I will keep making stuff and putting it into the world, and having a say. And trying to serve the people I make it for. It’s not for everyone, and if it’s not for you? Bang away on that button. If you are not using YouTube advertising for your business you are missing a great opportunity. It is incredibly cost effective and I am getting video views for all my campaigns at 1 cent per view and, for some, much less than that. For example my “Residential Property” campaign has delivered 1,491 views over the last 7 days at a cost of Euros 7.38. This is stunning because the cost per video view is 0.00494969818; yes, less than .5 of a cent. And a video view on YouTube is only counted when a viewer has watched in excess of 30 seconds of your video. If someone watches for 25, 28, 29 seconds and clicks away I am not charged a cent. Imagine being able to communicate by word, voice, body language, gesture, facial expression with 1,491 people-how much is that worth? Imagine getting 1,491 people into a hotel in Dublin or Cork or Galway or Limerick or a provincial town and giving them useful information which would position you as an expert in your area of business. Would that be worth less than 10 euros? Currently YouTube is wide open for any Irish business to exploit and put to stunningly effective use for the benefit of the business. From what I see there are very few Irish businesses wading in, though, and picking the low hanging fruit. Even less are availing of the advertising opportunity on YouTube. This is a huge mistake, one that I find puzzling and inexplicable. Meanwhile, though, I am delighted to ‘fill my boots’ and grow my subscriber base, leads, clients, and solicitor’s practice on YouTube. Posted byTerry Gorry October 29, 2018 October 29, 2018 Posted inDigital MarketingTags: youtube, youtube advertising, youtube marketingLeave a comment on YouTube Advertising-Are You Using This Stunningly Cost Effective Digital Marketing Channel? The first thing that struck me coming into Athens from the airport was the graffiti. It was everywhere: walls, shop fronts, roller shutters, the sides of buildings, on columns, gates, anywhere you cared to look. After a few days you stop noticing it and take it for granted because that’s how it is in Athens; but it is still disgusting and inexcusable in a great city of the world, a city that gave us democracy and written laws long before many other places were even discovered. Then, as you walk around the city for a few days it is difficult not to notice the dirt, the rubbish thrown on the side of streets and on footpaths, the open wheelie bins, the detritus from a residential dwelling of some description, stuff like dirty mattresses, bits of furniture. The physical structure of the city is in bad shape too, nowhere more than the footpaths. Try walking around the city using the footpaths and imagine you are not in the full of your health or you are an older person or visually challenged. It would be an impossible task, quite frankly, and evern for those of us in the whole of our health the physical state of the footpaths with crumbling kerbs, random holes and channels, and insurmountable obstacles would frighten the life out of you because one lapse in concentration and you are almost certainly going to fall or sprain (or worse) an ankle or leg or arm. Coming in from the airport our taxi driver spoke about the Greek ‘free spirit’, a mediterranean spirit in common with Italians. After a few days, however, you begin to wonder about the value of this ‘free spirit’ when you see as much as 50% of a large motorcycle population riding around on motorcycles without helmets, apparently secure in the knowledge that the likelihood of being taken to task by the police was infinitesimally small. This ‘free spirit’ and a cultural aversion to taxation appears to have left the city underfunded when it comes to resources for policing, looking after the homeless, repairing and maintaining essential infrastructure, and a basic organisation of its affairs for the benefit of its people and visitors. Bear in mind that the population of the region of Attica, in which Athens is located, is approximately 4 million and 95% of this population lives in Athens; surely it’s possible, if the will exists, to raise sufficient taxation from this population to improve Athens and sort out its obvious problems to restore it to its rightful place as a leading city of the world. The first place I visited was, naturally, the Acropolis. This is a stunning site and the Parthenon and the new Acropolis museum just across the road from the Acropolis is well worth a visit. The Monastiraki Flea Market is replete with stalls and shops selling bric a brac, leather goods, olive oil, soap, antiques although it can get quite crowded and busy. The Changing of the Guard takes place at 11 am on Sunday at the Presidential Palace in front of Syntagma Square. The ceremony draws large crowds but is worth seeing as the Evezone’s guard the Presidential mansion and they wear unusual uniforms which have a historical significance going back to the War of Independence cence against eh Ottomans in 1821. Mount Lycabettus gives you stunning views over the city of Athens as it is the highest point in Athens. You can walk up or take a cable car up Lycabettus hill and there is a little chapel of St. George at the top of the hill dating back to the 19th century. The top of this hill is 300 metres above sea level and you will be happy to know there is a restaurant and cafe at the top. The metro system in Athens is cheap and efficient and a trip south of Athens to Piraeus Port is only 10 or 20 minutes by metro. From Piraeus you can get a ferry out to one or a group of the islands in the Aegean sea. I went out to Aegina by ferry and it was well worth the trip. Aegina is a beautiful island with a large number of coffee shops, restaurants, ice cream parlours, restaurants, narrow streets and some beautiful guided walks around the island. Apparently Aegina was the capital of Greece back in the 1800s and the marina is packed with pleasure and fishing boats bobbing in the water side by side. I also travelled out to Edem beach which forms part of the Athens “Riviera”, a stretch of coast south of Athens. Plaka is a must see too as it is a historical neighbourhood nestling close to the Acropolis and its many narrow streets stuffed with small shops and restaurants will allow you while away an hour or two just strolling around and taking in the sights and sounds and smells. There is also a great deal of restaurants in Plaka which give you great choice in eating outdoors, always a great novelty when you come from Ireland. This hotel is a genuine 5 star and is located at Syntagma Square, right beside the Presidential Palace. 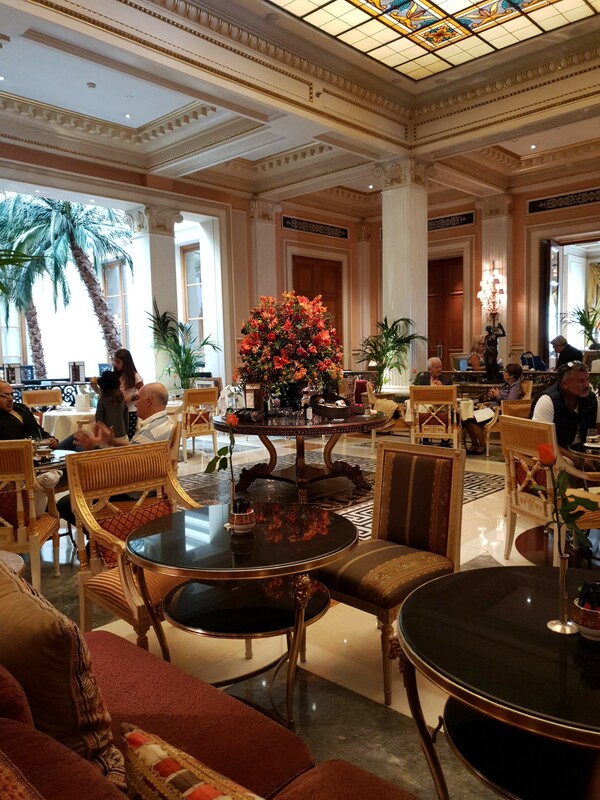 Treat yourself to a coffee or cocktail here, it is a great experience and is genuinely 5 star with fantastic service, wonderful bathrooms, striking atmosphere of 18th or 19th century grandeur. Athens is well worth a visit, even it is only to visit the Acropolis and the New Acropolis Museum, but you may be surprised at some of the physical infrastructure, the graffiti, and, on occasion, the litter and dirt.